Ubiquiti Networks U Fiber OLT offers (8) GPON ports and can support up to 1024 concurrent clients with 20km physical links. Two SFP+ ports provide 10G uplink connectivity. UF-OLT features two modular power adapter bays for flexible power options. One DC/DC power module is includes, and the second power bay houses a backup power module, or an AC/DC module for AC powering. 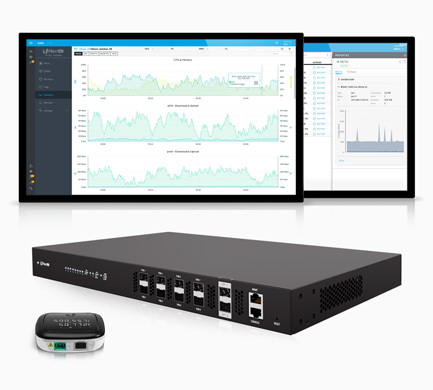 Easily configure the OLT and manage multiple sites using the comprehensive UNMS™(Ubiquiti® Network Management System) software.